We all want privacy, right? Well...some of us do. 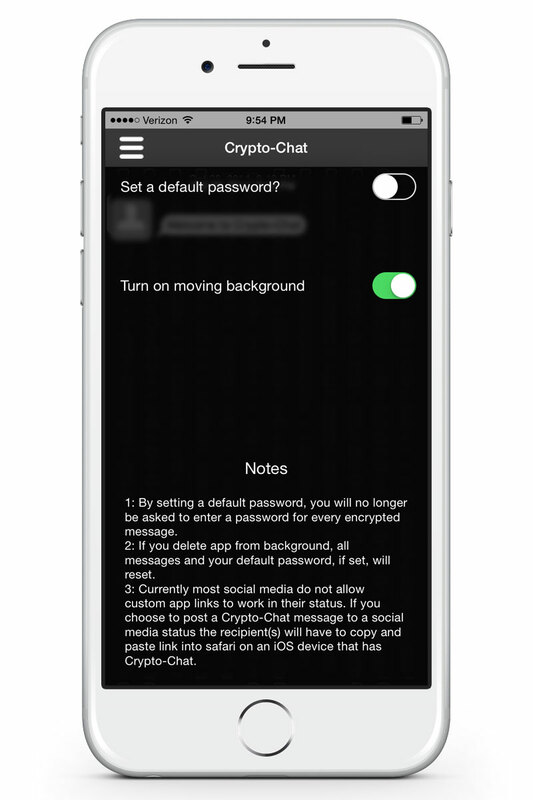 Now you can with Crypto-Chat! We're putting security back into the hands of the user. Securely send messages, peer to peer, with our adaptive encryption technology. Securely send messages, peer to peer, with our adaptive encryption technology. Encryption and Decryption take place on the device only, so messages cannot be compromised. Even if the message is maliciously intercepted by someone or stored on a server somewhere and accessed by someone other than you or your intended recipient(s), only the password used to encrypt the message can decode your Crypto-Chat. So be careful to share your password with only friends that you want to read your Crypto-Chats. But don't take our word for it, try it out! 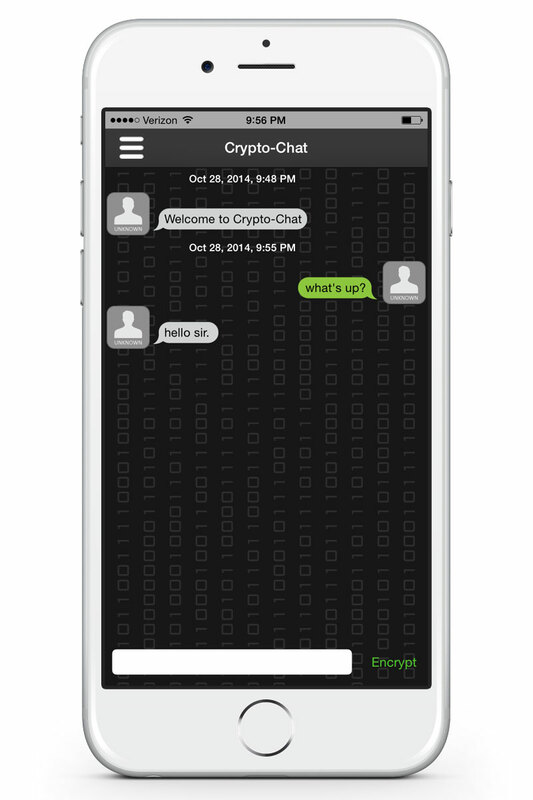 You can visibly see your message encrypted and communicate in confidence with Crypto-Chat. Enjoy fast and fun encrypted conversation! Type a message and then press encrypt and send it to a friend. They'll be able to view it only if you have shared with them your password for decrypting the message and then the decrypted message disappears from the app once the app is deleted from running in the background – unless they take a screenshot! 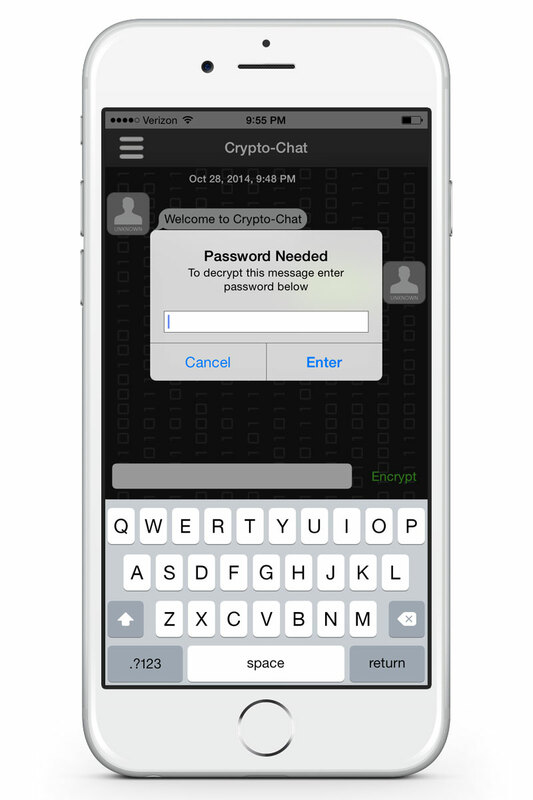 Crypt-Chat uses 256-bit AES Encryption. Encryption and Decryption take place on the device only, so messages cannot be compromised. Only the password used to encrypt the message can decode your Crypto-Chat, even if the message is maliciously intercepted. Chat with your friends, but be careful who you share your password with. Your password is required to decrypt a message. We love to hear from our friends and look forward to answering your email.